Crime is not just something that happens on the streets and in homes around Australia. Crime is just as common in boardrooms and businesses although it can be harder to detect and is often less frequently reported in the media. 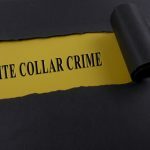 White collar crime is a term used to describe criminal activities that occur in the corporate environment and it can cover a wide range of different scenarios. A recent report by PricewaterhouseCoopers shows that 57% of Australian organisations have experienced white collar crime within the last two years. Out of these, a third suffered losses of over $1 million. With white collar crime so prevalent, it seems surprising that there isn’t more attention being focused on this particular type of crime and that harsher penalties aren’t being imposed. 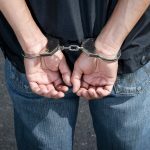 What are the different types of white collar crime? Expense fraud where employees claim false expenses. This can cost organisations hundreds of thousands of dollars a year. Accounting fraud – where companies falsify records to avoid paying tax. Over inflated invoices from external contractors which are authorised by middle managers who then keep the extra. Bribery to obtain favours, permissions or other perks. In a recent example of white collar crime, an employee of the Australian Bureau of Statistics (ABS) was alleged to have leaked market sensitive information to a friend who worked for National Australia Bank (NAB) and who subsequently obtained $7 million through insider trading. The employee has been charged with insider trading, corruption and abuse of public office. White collar crime isn’t usually violent and because it is big companies who pay the price it is often not considered to be as serious as other crimes. 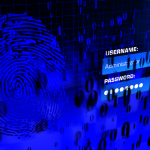 Cyber-crime or identity fraud committed against an individual may be viewed more harshly than corporate crime against a large multinational business. No matter who it is being committed against, white collar crime is still a criminal activity. 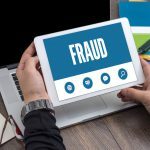 A recent report by the Australian Securities and Investments Commission (ASIC), states that the civil penalties for white collar crime in Australia are too lenient compared to other countries. ASIC believes that the lenient penalties and lack of disgorgement legislation don’t provide enough of a deterrent to make potential white collar criminals reconsider breaking the law. The main issue highlighted with civil penalties for white collar crime are that the penalty given is often less than the proceeds of the crime which means that white collar criminals still end up ahead financially. In Australia the maximum civil penalty for white collar crimes like insider trading is $200,000. This is a sharp contrast to other countries where the penalties can include the sum of the gain plus a penalty of triple the amount of damages. This has more of a deterrent effect and is more likely to make potential criminals think twice before committing an offence. The ASIC report also highlighted inconsistencies within Australian legislation when dealing with white collar crime. 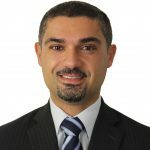 One example given was that offering a financial service without a proper licence could attract a criminal penalty and a fine of up to $34,000 but giving someone unlicenced credit advice could potentially attract a civil penalty of up to $340,000. 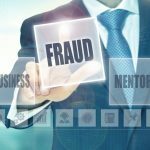 White collar crime is more prevalent than many people realise and due to the inconsistencies in legislation the outcome for white collar criminals who are convicted can be much less detrimental than for those who are convicted of other types of criminal fraud such as welfare fraud or identity fraud. Court matters involving white collar fraud offences can be complex and involve significant volumes of paper based evidence. If you’ve been charged with an offence of this type, it’s important to speak to a good criminal lawyer, with expertise in defending fraud matters, as early as possible.